If you forget your username or password, you can retrieve them by clicking “Forgot Username/ Password” under the Members tab, at the top of the page. Heavenly Father, fill me with Your Spirit until I am overflowing, as the sun is filled with light, until it spills out of me and illuminates everything it my path. Crowd out the flawed thoughts of my mind with your truth and wisdom; put so much of your knowledge and fear in my heart that there is no longer room for the seductive lies of this world. Comfort me in my pain, convict me in my transgressions, guide me when I am tested. Fill my being with energy and focus to spread your word and do your will, and, with the salvation of your grace through Jesus Christ, this will be enough for me. 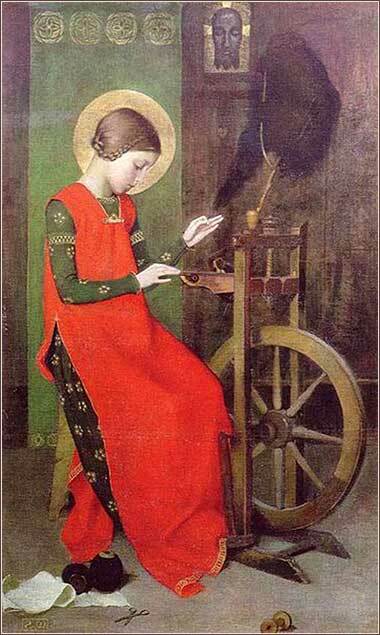 Elizabeth of Hungary Spinning for the Poor by Marianne Stokes, ca. 1895. 14 And we urge you, do not be hesistant to chide the undisciplined and lazy (but always out of love). Encourage the faint of heart, help the weak, and with everyone, be patient. v. 14 – [n] or the idle (see 2 Thess. ), poss. the disorderly; likely, the term is meant to include those who engage in theological speculation. [o] compound derived from roots meaning, most lit., the small-souled or small-in-life. For all the work that goes into translating Paul's epistles directly from the Greek, what do we gain? First off, a test for the basic meaning of a passage. Often enough — and I am sure it is as hard for you to believe as it was for me, before studied Greek and saw the evidence with my own eyes — the translations in print are simply wrongThe doughty New American Standard Bible is almost always accurate, but even it misses the mark on occasion.. There is also a second advantage, however, that is quite common: we can see dimensions of meaning in the Greek that do not come through in even good translations and develop a richness of textual understanding that is impossible to convey otherwise. The Greek term that our DP Bible translates “faint of heart” literally means “small of life” or “small-souled.” It has two primary idiomatic meanings: “shy” is the primary meaning, but it can also mean “discouraged”. Which class of people do we want to bolster up? Well, both of them, don't we? And no doubt this is what Paul meant to convey. First, it is important in our worship that we be attentive to people who do not draw attention to themselves. 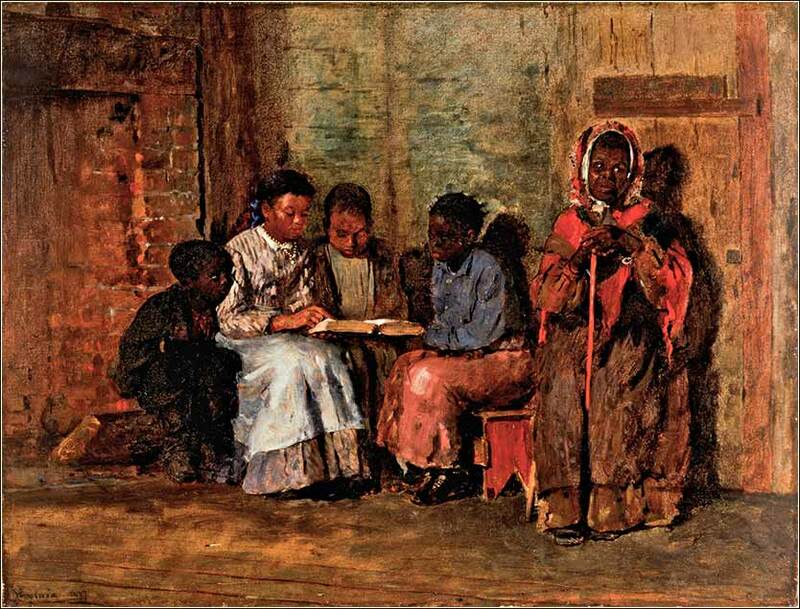 Let us never take for granted that everybody sitting in Christian meeting is as strong in their faith as we; we must speak our convictions, in simple bold terms, for the benefit and encouragement of all. And it can be very helpul to a shy person if we seek to draw them out during a discussion. But we also should be on the look-out for people who are longtime Christians, but who have become stale or discouraged in their faith. It can happen at either of two extremes. A person who has gotten into a spiritual routine may become bored, stale, or dissatisfied. Or at the opposite, a great tragedy in one's life, such as the death of a child or a spouse, can shake his or her faith. second, even more complex set of meaning attaches to the word telling us what kind of people we should “chide”. Paul tells us that some people need a loving reprimand, but who? Roughly half the Bibles in print say that brethren who are “lazy” or “idle” should be spoken-to; the other half say “disruptive” or “unruly”. Does Paul mean to refer to people who are actively stirring up trouble, or rather, people who are simply lazy and not pulling their weight? Probably both! Current scholarship (with a lot of good reasons) tells us that where the Bible is ambiguous, the ambiguity should be taken as intentional and the phrase given multiple meanings. But personally, I don't think either reading is the best. The word originally referred to a soldier who was out-of-step; and since Paul is not averse to individualism in matters outside dogma, it doesn't seem he would rebuke anyone for personal peculiarities. Where Christianity had (and has had ever since) its biggest struggle with independence is with people who make up doctrine, i.e. people who espouse aberrant theology or who speculate about God, and this passage likely speaks to heresy rather than indolence. Paul advised against “meddling” earlier in this section (1 Thessalonians 4:11) and he was not talking just about over-the-back-fence gossip. In classical Greek, “meddler” was a pejorative term for philosophers: Paul uses it to characterize people who meddle in the affairs of God. Philosophy has as its basic tenet that one can arrive at truth by logic and observation; Christianity rejects the notion, replacing logic with listening and obedience. So at least one type of conduct Paul discourages — and urges the reader to discourage by chiding those who practice it — is theological speculation.